The application window for 2020 ELCA World Hunger Domestic Hunger Grants will open April 15. 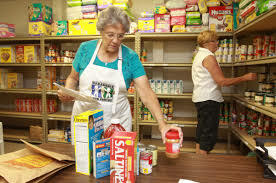 Visit ELCA.org/domestichungergrants to learn more about the grants and how to apply. Organizations applying for an ELCA grant for the first time are invited to set up an account in ELCA GrantMaker in advance in order to access the application form immediately once the window opens. If your organization has already registered in ELCA GrantMaker, now is a great time to log back in and confirm that the contact information in the account is up to date. The ELCA World Hunger Team thanks everyone for all you do to work creatively and courageously toward a just world where all are fed — neighbor to neighbor, community to community. If you have any questions or feedback, please contact the team at Hunger@ELCA.org.